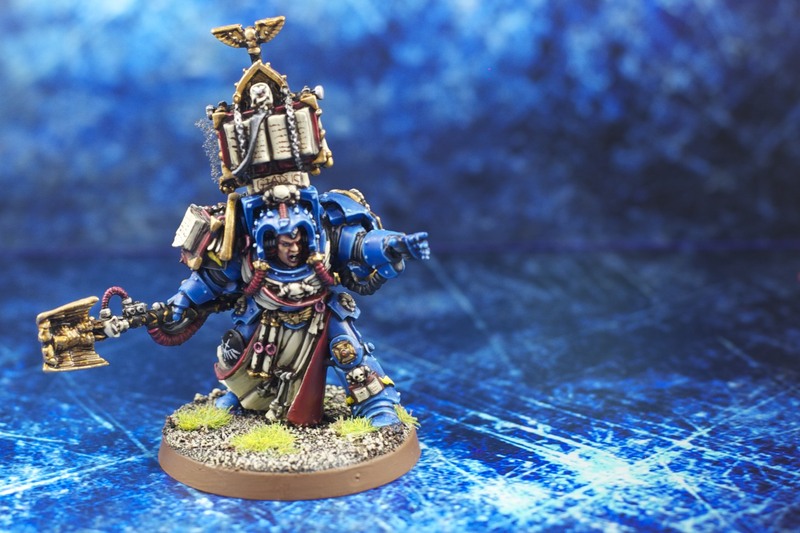 3 commissioned models by miniaturepainters.com | 30mm Madness! 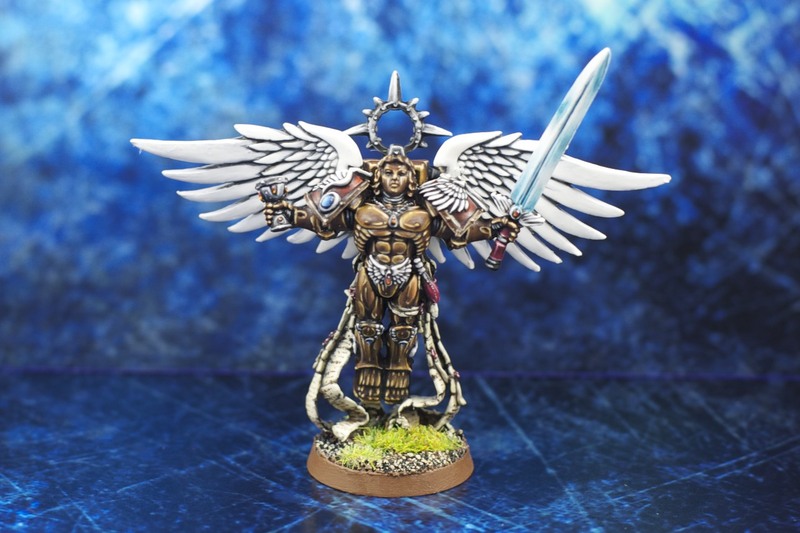 I commissioned 3 models by miniature painters.com (a painting studio in Poland). They took a while, but I’m very happy with the results. If I were to do it again I’d carefully watch the exchange rates as that can significantly alter the prices. 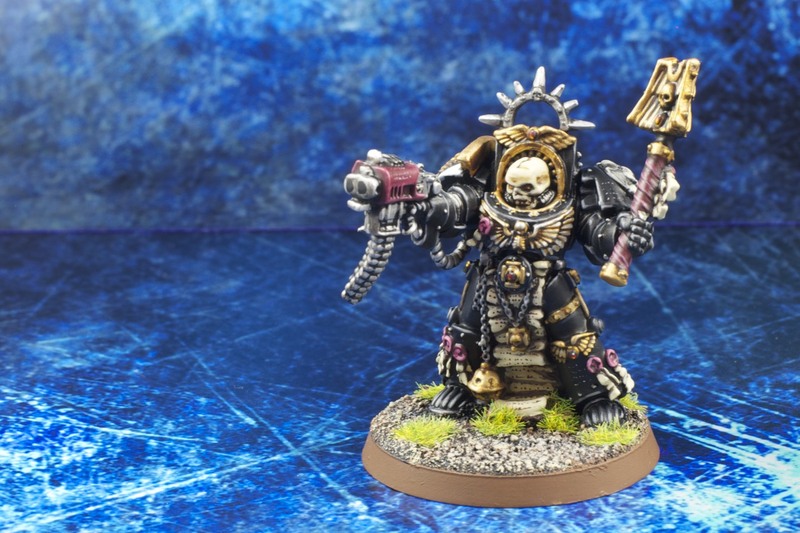 I wanted a great example of black power armor (chaplain in terminator armor), nonmetallic-metalics (The Sanquinor) and blue power armor (Librarian in terminator armor). All three will be great teaching aids as I work on my painting skills. I’m still going to airbrush base coats for troops and leave it at that, but for my next HQ (which will be a while since I’m starting a reaver titan!) I’ll practice layering/painted blends, edge highlights, etc. based on these models as great examples. This entry was posted on January 5, 2012 by justinhardin. It was filed under Blood Angels, Elites, HQ, Warhammer 40K .